Many of us find ourselves from time to time struggling in our lives. We often are in need of a change and an upgrade. We find ourselves in the middle of battles and warfare. Somehow we are aware that a new season in our lives is needed and is coming to us. When we go through these turbulent times, we often get worried or begin to walk in fear because of the pressure that we find ourselves under. We feel that we might be doing something wrong or the enemy has the right to do this to us. But very often this is part of the process that we will all go through before we come into the new season. It is part of the testing and even more important tempering process. Seasons of the natural or flesh come from outside inward. Their coming to completion depends on circumstances, people, money, politics, striving, etc. If it happens this way it will have a negative effect on our spirit man. He will be hurt because it was birthed by the flesh. We will also have a tendency to depend on the flesh or our soul power to get us where we need or want to go. If you have done it this way the Lord can redeem all things so don’t allow condemnation to come from it. Repent and begin to obey the Holy Spirit and allow him to birth through you what He wants to, where and when. New seasons of the spirit are birthed from inside His spirit, which is in us. When this new season happens, it eventually changes the natural surroundings around us. It has to. It has no choice in the matter. The natural realm is servant to the spirit realm. The natural realm depends on the spirit realm for it’s survival, not the other way around. Sometimes we cannot immediately see any results but it will happen. 7. Do not be deceived, God is not mocked; for whatever a man sows, this he will also reap. 8. For the one who sows to his own flesh will from the flesh reap corruption, but the one who sows to the Spirit will from the Spirit reap eternal life. 9. Let us not lose heart in doing good, for in due time we will reap if we do not grow weary. 10. So then, while we have opportunity, let us do good to all people, and especially to those who are of the household of the faith. Let me give you one example that happened to me. Recently a very dear friend of mine named Andrea Gabriele Schintu from Italy sent me a dream that he had about me. It was about 2 pages long. It had so much power, anointing and presence of the Lord on it that it literally popped open something in me, the pathway to this new season. I was under that anointing for about 4 days. Everything hasn’t completely changed yet in the natural realm but it opened up in me the spirit realm to see that new season so clearly. I already could see the new season coming and knew a lot of the details but when this dream hit me, it came with so much love, hope and faith that it actually released that new season in me. All of a sudden everything became so clear. Relationships began to unite, money and jobs began to be released and opportunities opened up. This has happened at times in my life where the spirit has birthed a new season through a prophetic word, an act of kindness, perseverance, simple honor and obedience to the Lord’s presence. Every new season (that has lasted) that I have walked in started from the spirit realm and took time. New seasons don’t come from striving in our flesh. It comes through rest, trust and peace. They come from a place of humility and obedience to His presence, His voice. Many times we try to sacrifice our way into a new season, but it doesn’t work that way. If it would, then the new season was accomplished through the works of the flesh. It will not last and will be burned up by the presence of the Lord drawing near to us, among other things. The Lord is the only one that can do this through us. We cannot even battle our way into a new season unless it is directed by the Holy Spirit. Too often we have so much warfare around us that we try to battle our way out. I have personally found that the Lord is usually trying to teach me to trust and rest in him. That does not that mean we just sit and wait. We pay honor to his voice and his presence and obey HIM, no matter where he takes us or what he tells us to do. 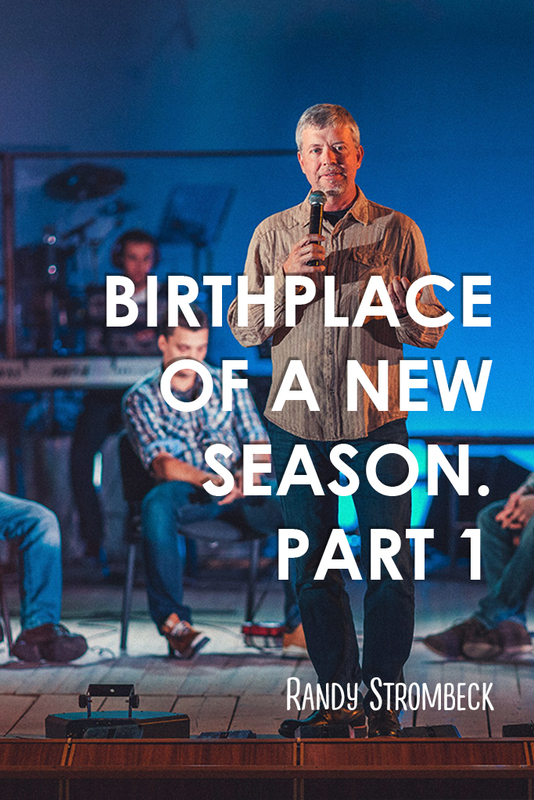 The birthplace of a new season is already in you. The Kingdom and All of it’s attributes are in you. That very nature and DNA of Christ is yes, in you. Only through the nature of Jesus and his power can these new seasons be released through you.